It has been a little while since we last had a good competition or give-away on the site but we’re back with a corker. 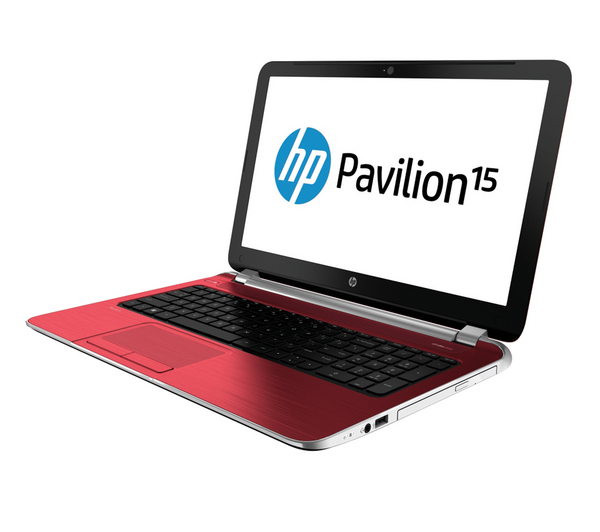 We’ve teamed up with AMD and we have a fantastic HP Pavilion A4 Notebook, in red, worth around £450 and one lucky reader is going to be walking away with it! To enter, all you have to do is follow tracyandmatt on Twitter and retweet the following tweet: “RT @tracyandmatt I want to win a red HP Pavilion A4 Notebook from tracyandmatt and @AMD see how you can enter too: http://bit.ly/amdcomp” You can also click the retweet link below to save you copying and pasting the phrase. Your twitter name will be entered in to the draw. Entry is open until midnight on the 31st March 2014 and the winner will be picked on the 1st April. Will that be a lucky day for you? It is giveaway time again. The nice people at Research in Motion have been getting some stick lately so they are going to make a few of you very happy. They have donated three BlackBerry Curves 9320’s to us as prizes for a competition. To enter, all you have to do is follow tracyandmatt on Twitter and retweet the following tweet: "RT @tracyandmatt I want to win a new BlackBerry Curve 9320 from tracyandmatt and #UK_BlackBerry: http://bit.ly/OcG0l9" You can also click the retweet link below to save you copying and pasting the phrase. Your twitter name will be entered in to the draw. You’ll have to keep following us as we’ll notify winners via DM. The winner will be picked Friday 13th July. Will that be a lucky day for you? Entrees are welcome worldwide so no restrictions on this one. Those nice people at Skype have kindly agreed that we can give away three of their FREETALK Everyman packs. The packs contain a HD webcam, headset with microphone and all protected by a case. As you know Skype is one of the leading IM and internet phone call clients, and with this headset and camera and you can take advantage of its video chat function too. To enter, all you have to do is follow tracyandmatt on Twitter and retweet the following tweet: "RT @tracyandmatt: I want to Win a Skype HD Webcam and Headset – Find out how you can enter too: http://bit.ly/skypecomp" You can also click the retweet link below to save you copying and pasting the phrase. Your twitter name will be entered in to the draw. You’ll have to keep following us as we’ll notify winners via DM. The competition will run until the end of the month when we will select the one lucky winner. Entries will be accepted from anywhere in the world. The winner of the Sony Xperia PLAY is……. Back at the start of the month we told you all that Sony Mobile were kindly donating an Xperia PLAY for us to give away. As usual the method of entry into the competition was via Twitter and we had a huge response with hundreds and hundreds and hundreds of retweets. Well done David, we will be in touch. Stay tuned everybody as we have another competition starting in the next couple of days. And of course thanks to Sony Mobile for supplying the awesome prize. Time for us to give more stuff away! This time we have a couple of cases for the BlackBerry 9700/9780 up for grabs. Thanks to the nice guys over at Clove technology we’ve got TWO Venom cases, these really are top-notch! Have a little look at the video below to see what the cases are like and then tweet as per the instruction in order to be in with a chance to win. Simples. Entering is easy. All you have to do is follow tracyandmatt on Twitter and retweet the following tweet: "RT Hey @tracyandmatt please can I win a case for my BlackBerry? Find out more: http://bit.ly/bbcasecomp" You can also click the retweet link below to save you copying and pasting the phrase. Your twitter name will be entered in to the draw. You’ll have to keep following us as we’ll notify winners via DM. The competition will run until Friday 17th Feb when we will select the one lucky winner. Entries will only be accepted from UK residents due to postage and insurance. The nice chaps at Clove have sent us over the iCrado Neo desktop stand which is a universal cradle with some style. They also said we can give it away! If you would like to win this fantastic accessory just keep on reading. Congratulations to Neil McDougall (@neil1969uk) from Manchester who was randomly picked to win the Sony Ericsson Xperia Arc S that SE kindly donated to us to give away. I even videoed the draw to prove it was fair. I did however initially encounter a problem that I thought was hilarious. On my first attempt of selecting the winner my mouse cursor landed on Matt’s dad! We decided that if we let him win fingers would be pointed so unlucky Jim Davis, but you will have to go without a prize on this occasion. So the draw was done again and the cursor landed on Neil. Well done Neil, and thanks to all that entered the competition. You can see the video below and also a link to the one where Matt’s dad was selected. I chose not to put the actual video in this post as I was so shocked by the result I said a naughty word! Thanks once again to Sony Ericsson for the kind donation. We’ve teamed up with Sony Ericsson to give one lucky reader the chance to win this striking Smartphone. The Xperia arc S is a beautiful, high end Android handset packing a speedy 1.4GHz processor and a glorious 4.2 inch screen. 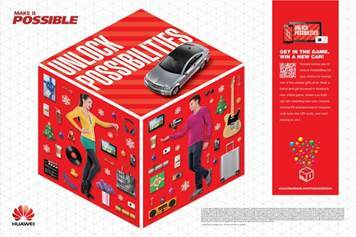 Indulge in unlimited entertainment wherever you are this festive season. Enjoy your favourite TV show, quickly download a new track or capture amusing family moments with the Xperia arc S.
This amazing handset is packed with a large 4.2" Reality Display with BRAVIA® engine, 8.1 megapixel camera with Exmor R technology for low light photography, HD video record and a 3D panorama feature to show off your content on a 3D TV using the HDMI output. Want to share it? Simple. Facebook Inside Xperia lets you easily upload all your Christmas pictures and video. Entering is easy. All you have to do is follow tracyandmatt on Twitter and retweet the following tweet: "RT @tracyandmatt I’m hoping to Win a Sony Ericsson Xperia arc S – Find out how you can enter too: http://bit.ly/arcscomp" You can also click the retweet link below to save you copying and pasting the phrase. Your twitter name will be entered in to the draw. You’ll have to keep following us as we’ll notify winners via DM. The competition will run until Monday 19th December when we will select the one lucky winner. Entries will only be accepted from UK residents due to postage and insurance.